Captain D's LLC is ranked #139 in the Franchise 500! Captain D's history goes back to 1969, when the first Mr. D's Seafood and Hamburgers opened in Donelson, Tennessee. 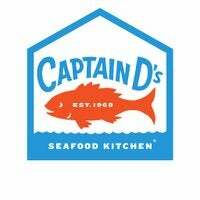 In 1974, the company name was changed to Captain D's Seafood. Captain D's menu features fish, shrimp, chicken, sides, desserts and sweet tea.